During the heating season(s) your wooden floor has been nice and warm underneath your feet, but has also dried out. Since it is never recommended to apply maintenance polish on a warm floor, now is the time to reward your wooden floor for keeping you warm and cosy. Your wooden floor will love you for it! You can't help colours fading, or can you? Wood, a product of nature, matures over time. This means, due to exposure of light, your wooden floor changes colour, sometimes also called "fading of the original colour". For instance, Oak - pale blond when new - will get its characteristic honey/yellow colouring when treated with a natural finish. This normally takes between 1.5 - 2 years. Tropical species on the other hand will rather rapidly turn much darker than when brand new, between 2 - 6 months. Some areas of my herringbone muhuhu parquet floor have faded where they have been covered with carpet; can the colour be made uniform without sanding? Covering up part of your floor by placing carpets will give a very interesting effect, the covered part will keep its original colour way longer than the exposed part. You can easily compare this with pictures on a wallpapered wall, behind the picture the colour of the wallpaper will be more like it was in the beginning than the surrounding exposed areas. For answering the above question we advised to give it time, the unexposed part of the parquet will fade in with the rest of the floor as soon as you remove the carpet, sanding will not hurry things along. There is one thing you can do to enlarge the time it will take for your wood to mature. When it is brand new and bare, treat it with two coats of Saicos Premium HardWaxOil (for Oak, Tropical Combo for tropical species). This hardwaxoil contains fewer linseed oil than other brands and will not turn your wooden floor into its characteristic mature colouring as easy or as soon. Plus it is eco-friendly and quick to apply. Enjoy the (changing) colours of your wooden floor! Frequently used in bungalows - and of course other types of homes - during the 50's upto the early 90's, the 5-finger solid wood mosaic floors are a common sight. And nowadays very often a common and pleasant discovery by the new owners of the house when ripping out the wall-to-wall carpet or vinyl that had been installed over it - perhaps even many years ago. A design parquet floor, and a mosaic floor is definitely a design parquet floor, is a valuable floor covering to have/to discover you have. Sturdy, beautiful and most often than not, adding value to your home. Plus of course, very easy to keep clean. Not all rediscovered mosaic floors have withstand various prior renovation projects, central heating might be installed - where plumbers simply ripped out areas of mosaic to lay the water pipes in the concrete - or original fireplaces removed. Leaving you with missing areas of wood. If this is not the case, lucky you, and your charmed by the look of the wood floor, you could consider installing mosaic floors in other rooms too,. to complete the picture. For instance when you (or the previous owners) knock down a wall and only one part of the new larger room has a mosaic floor. Wood You Like is happy to announce the 5-finger mosaic in the most used wood-species is again available in small quantities, catering both for small restoration projects and large additional rooms/areas. All packed very economically: 2.304 sq m per pack. All measuring (4 blocks by 4 blocks of 5-fingers): 7.5 x 480 x 480mm and all available from our secure webshop. Solid hardwood floors have been around for many years. However, more and more manufacturers are switching to wood-engineered floors for various - good - reasons. Rule of thumb: the width of a solid board should never be wider than 10 times the thickness of the board. 20mm thick means 200mm wide maximum, 15mm thick means 150mm wide maximum. 'Oversized' boards are very prone to buckle and cup. Rule of thumb: the location of the Tongue and Groove should be as close to the centre as possible to give the board the best stability. Sold floors with the T&G below the centre are prone to buckle and cup. The reason given for why the T&G is almost at the bottom of the board: floor can be sanded many times more might sound valid, running the risk of cupped boards before there is ever a need to have the floor sanded outweighs this 'benefit' many times over. and in cases with random length: maximum 15% of the boards are of 'short' lengths - see the article "Three Things DIY Stores Won't Tell You"
Rule of thumb: overall solid floorboards will expand and shrink more than wood-engineered boards. To allow this movement you have to calculate the correct expansion gap needed (and don't fill this gap with cork or anything else!). Oak floors: for every meter width of the room leave a 4mm gap with a minimum of 10mm. A 2 meter wide area means 10mm gap; a 3 meter wide room needs a 12mm expansion gap. Make sure your skirting board are thick enough to cover the movement of shrinkage as well - we recommend 18 - 21 mm thick skirting for solid floors. Late summer/autumn, when your house climate has a high humidity, your floor will shrink more when the heating season starts, this is a normal effect but don't reduce the standard expansion gap for this reason. It's better to add 2mm to your skirting board thickness (if you need to buy new ones - alternatively use flat beading to cover expansion gaps and leave skirting boards in situ). General advice: keep the width of solid boards narrow, 150 - 160mm tops, for the best and trouble free result. If you fancy a wider board do select wood-engineered, much safer bet and in the end exactly the same look - you only see the surface of your wood floor - which with wood-engineered floors are definitely from solid wood - anyway. I've got the opportunity to revamp our whole house and we have this idea to have the same type of flooring everywhere: downstairs as well as upstairs. Now I've looked around the old internet and read somewhere that I could get away with thinner boards upstairs 'cos there's not that much traffic going on, not as much as downstairs anyway. I was told by a friend of mine that you would have a solution for this, 'cos everywhere else I look I end up with the same floor for both plans, the fact being that none of the thinner boards look like the thicker boards - which makes it a bit too expensive for me. So, please, let me hear your ideas! Indeed, if there is not that much traffic upstairs, you can get away with 10mm thick boards. Downstairs we highly recommend - as you've discovered yourself - to use a thicker, at least 15mm, boards. In our secure webshop you can find a variety in looks, the same in 10mm as in the 15mm thick high quality wood-engineered boards. It depends on your personal taste, the nature grade has fewer knots and fewer colour variations between the boards; the Rustic grade is the most popular one - giving you an authentic cottage feeling. Let us know if you need more advice? Looking for a perfect wood-engineered floor yourself, for your study, bedroom, kitchen or lounge (or any other place inside your home)? Have a browse through all of the flooring types we can supply to you. All have a FSC Oak toplayer! Wood You Like is happy to (re)introduce to you a large range of FSC Oak wood-engineered flooring - around 45 different types! These 45 different floors come in various thickness, grades and finished (both oiled as lacquered) and all have a FSC Oak top layer. And all at low prices too! For instance, Oak Rustic or Nature grade 10mm with a 3mm solid Oak top layer, oiled natural of white for only £ 29.97 per sq meter! You can all find them in our secure online shop, which gives you prices per pack. The £ 29.97 translates itself into £51.99 per pack (from 10 packs onwards). Underneath we'll give you a first overview of the sq meters per pack, the pack price and the sq meter prices - because the more packs you order, the more the price drops. Did we change the design and lay-out of our whole website two weeks ago, last week we thoroughly Spring Cleaned our Secure Online Shop. No matter how many items in your shopping bag, the delivery charge will now always be only£ 12.00 (this of course excludes the E-guides, if your purchase is solely one of these guides, there are no delivery charges out all). The quality products that come in various tins (such as in 0.75 and in 2.5 ltrs) can now both be found in one product where you select the tin(s) right there and then. Simple. One other item we've changed. If you are looking for high quality wooden floors, you simply select the one in our range you want us to send you a specified quotation for the sq meters needed (do add a percentage of the area you plan to have your wooden floors installed in for the needed "saw-waste). Have a very nice Spring yourself, and if you are thinking of a thorough clean of your home do have a look at all of our maintenance products that'll keep your wooden floors healthy and beautiful! Wood is a product of nature and will react to changes in air humidity, or - as is in many cases the cause - if you have underfloor heating your wood will have had exposure to this "heat"form the whole of the winter and will have released its natural water in the fibres and might now created gaps. This will happen more often with floor on UFH which are installed floating, with floor fully bonded to the subfloor with flexible adhesive, the adhesive will act as a kind of break on the natural movement. Gaps now are nine times out of ten not an installation or product fault - as some think - but the natural reaction of your product of nature to.... nature. Can you prevent these gaps? A bit, by making sure your wooden floor is healthy and maintained properly - maintenance products will keep your floor from losing excessive moist, therefore it is best to apply some polish more often in Winter than during Summer and beginning Autumn. But don't over do this, you might end up with a sticky mess. Will these gaps disappear? Yes, when your UFH system is turned down again - later this Spring - and/or the air humidity will increase again, then your floor will start to absorb moist from the air again to gain its equilibrium again. Purchasing wooden flooring at one of the DIY chains seems to have one big advantage: lower prices - mainly with special offers (offers frequently and often going on and on and on). Have you ever looked at the units where the wooden floor packs are stored in these DIY chains? Large metal units, often three or four stacks high. Nothing wrong with height, but the main issue here is the width: mostly not wider than 1.3 - 1.5 meters. This means, the packs of wooden flooring will contain "short" lengths of - standard - 1.20 meter. Now, manufacturers don't often sell planks of 1.2 meters on their own, they like to mix things up and for quality flooring this size is a medium length - not the maximum length. Meaning, for this type of flooring to be as low as possible in price, the other lengths are often short - too short in fact. The product description of these random length packs often state: enhancing the character of your wooden floor with various lengths. As if! All this will do is enhance the "business" of the look, because more often than not the majority of the boards per pack will be around 300 - 500mm. Meaning, too many joints in a row, making your floor rather unstable and should therefore never be installed using the floating method. Plus, as many manufactures recommend, joints in the neighbouring row should be spaced at least 300mm from the joints in the previous row - very hard to do when you only have very short lengths. Imagine having a trillion items in your shop, would you know the ins and outs of every single item? Or when to use what type of accessory? Would all of your many employees know all of it? "Many" as in rotating per day or part of the day and per "department"? Would the employee you manage to track down in the wooden floor "department" know which underlayment you should use on your existing chipboard underfloor - if your wooden floor can be installed floating at all? If the latter, would this employee also know you cannot fully bond your wooden floor onto modern chipboard? Nor that you can secret nail into chipboard? Too often they only want to sell you accessories you don't need, such as straps or cork fillers. Real wood top layer - as soon as you see a sales term like this you have to be on your guard. Veneer - most often 0.6mm thick - is also a real wood top layer but is only really suitable in areas where there is low traffic, such as in bedrooms. And when this sales term for a veneer floor is followed by the claim it can be sanded you are definitely in for a treat! Knowing that a proper sanding - with professional sanding equipment - sands off 1 - 1.5mm you'll end up with the backing of your "real wood top layer" floor, often pine or plywood (still "real wood"). How's that for a bargain? Often - if not always - it pays to select your wooden flooring at a specialist retailer, online or off-line. These businesses only sell wooden flooring and therefore know all about the products and accessories you need, they know what can and cannot be done, which floor type is most suited for your situation and they will give you tips and tricks of the trade if you want to install the floor yourself. 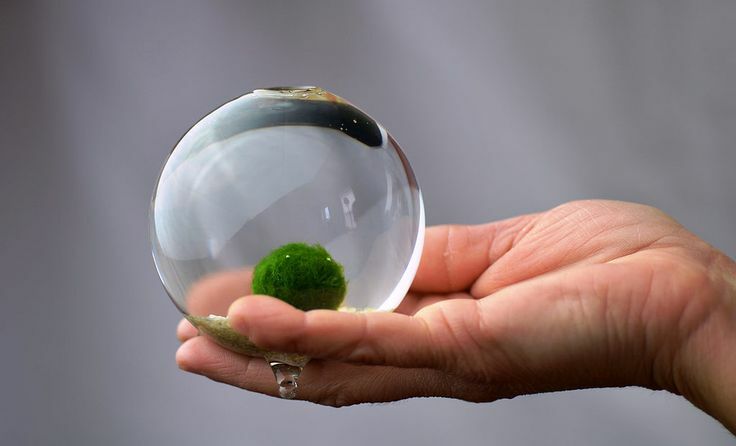 Or they will have their own installation team to do a professional job for you. Wood You Like, E-tailer nowadays - is one of those specialist. View and read all the information pages on this website and decide for yourself: do they or don't they know a lot about wooden flooring? With so many different floor types to chose from, we know it can sometimes be rather a challenge to know which one to go for and which ones to avoid. We can't select your ultimate look of the floor, grades and finishes are down to personal taste after all, but we can give you a guideline in determining what floorboard thickness you can get away with to create the right ambiance in your home without going "over board". Now that I have finished restoring all five of my parquet floors following your sound advice and fitted new oak skirting, architraves and doors(I have many photographs which I am going to send to you) AND after using your polish and buffer (bumper in RAF parlance) the floors are really looking terrific. Last stage is to fit an oak floor in my small entry porch which measures only 2.5m x 1.5m (less than 4sqm) and is currently tiled and quite level.For this I would like some advice.Is it better to fit a solid oak timber floor or an engineered wood one?I would like to fit something like 18mm thick by 90-105mm wide by varied lengths. Looking forward to you pictures! In a porch you normally have rapid changes in temperature (no heating I guess) and even lots of moist when people are coming in from the rain. Wood-Engineered would be better there, is more stable than solid. Although narrow Solid Oak could be an option too, but with the widths you suggest you do need to fully bond the floor to a suitable underfloor. You can't really easily glue over tiles, so they have to come up or have plywood screwed down first. Is that something that can be done in your situation? Thanks for reply to my query. If I just fit an engineered floor can it be just laid straight over the tiles(glued) or do I need to put down the plywood as well? Seems like engineered flooring is good quality these days. The oak strips you sent to me arrived safely in the long tube-no damage and are just the thing I needed. When you use Wood-Engineered boards you can install them floating on a combi-underlayment (contains a DPM to prevent any sweat and condensation of the tiles reaching the wood) by glueing the T&G's correctly. Glad to hear the strips arrived safely. As usual your answer was succint, well ventilated and appropriate. In addition the speed of your replies were quite brilliant. Your service overall can hardly be bettered in my opinion. However, the fact that you are always trying to improve is reflective of your business and great credit to your whole team and the philosphy that drives you. You deserve to succeed (as you appear to be) in your chosen field. Thinking of installing your own wooden floor? 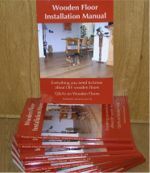 The "Wooden Floor Installation Manual", written and published by Wood You Like Ltd, contains 160 pages of hands-on practical tips.